Graduate school for the 01.04.01 direction “Devices and methods of experimental physic” and 01.04.07 "Condensed State Physics" is available on a competitive basis for persons with higher professional education confirmed by a state diploma (for graduates of foreign education institutions - a diploma copy, and a certificate of its equivalence to these requirements). Free education is available for the Russian Federation citizens under 35 years, for the purpose of training the highly qualified scientific personnel in order to meet the FSBI TISNCM statutory objectives and its ongoing research directions. Fee-based education is intended for both Russian and foreign citizens. Persons entering the graduate school directly after graduating from the high school are admitted to examinations if they have the recommendations from the Scientific Council of the respective high school. Those without such recommendations or practical experience are admitted to the graduate school for the fee-based education. Persons who have previously completed a course in the FSBI TISNCM graduate school on a free basis, as well as those expelled from the graduate school for unlawful acts or failure of the plan, are not eligible to have free education in the graduate school for the second time. The following full set of documents is required to take the entrance exams at the graduate school. 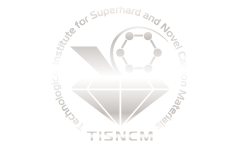 A Guarantee letter from the head of the TISNCM structural unit where the graduate student research would take place (Guarantee letter). The foreign not Russian-speaking applicants shall submit the information in English according to the Application Form (for foreign citizens). A passport and a state diploma shall be submitted by the applicants personally. When the applicants submit the required documents, they have an interview with their supposed supervisor. The supervisor submits the results in written to the Admission Board (Interview). The entrance exams are admitted by the Board appointed by the TISNCM Director. Retaking the entrance exams is not allowed. The passed graduate school entrance exams are valid for a year. Persons who have passed all or part of the candidate examinations for admission to the graduate school are exempt from the respective entrance exams, during up to 5 years after passing the exam. The results of the final Master's examinations in philosophy and English language are admitted as the graduate school entrance exams, if an individual curriculum includes the Master's examinations in these subjects. Persons admitted to graduate school entrance examinations are granted a paid 30-day leave to prepare for the exam and taking it. The document confirming the fact of admission for the entrance exams to the graduate school, and an invitation to take the candidate examinations, is an Authorization note (Authorization note). The graduate school accepts new people twice a year upon the Director’s order. The admission to the graduate school is announced at the TISNCM GRADUATE SCHOOL web-site. July 01 – August 15. Graduates with degree papers made at TISNCM. In case of successful passing the entrance exams, applicants with a recommendation from their potential supervisor or within the agreements between TISNCM and high schools and scientific institution, enter the graduate school out of competition. Admission to the graduate school is made upon the TISNCM Director’s order. After the admission, each graduate student receives a supervisor from the TISNCM personnel. The applicant is informed about the decision on admitting or rejecting the application within 5 days after the Admission Board makes the decision, but not later than 2 weeks before the classes begin. Application forms with all the required documents are submitted to this address: 7a Centralnaya, Troitsk, Moscow, Russia, 142190.